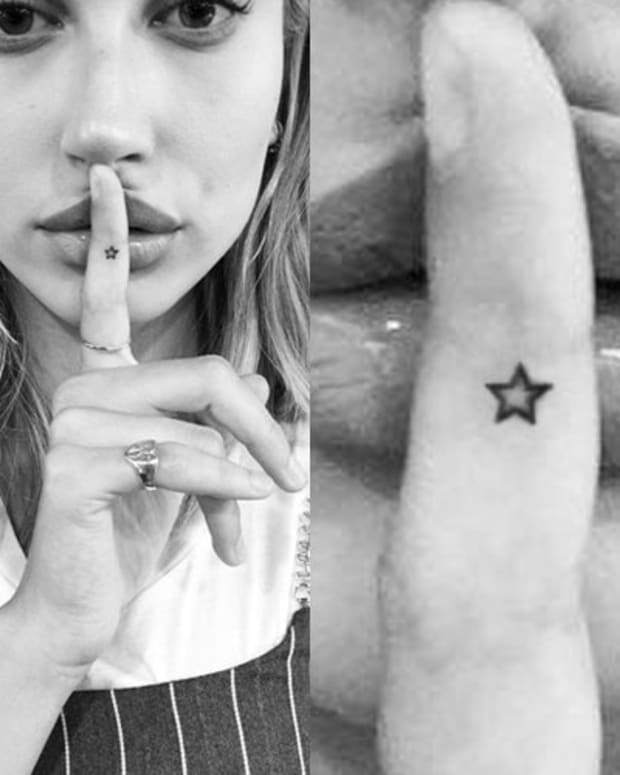 Models Kendall Jenner and Hailey Baldwin have gotten inked together on more than one occasion, but their most recent trip to the tattoo shop was more special than ever, because Kendall actually designed Hailey’s latest ink—the word “PRAY” tattooed on her fingers. 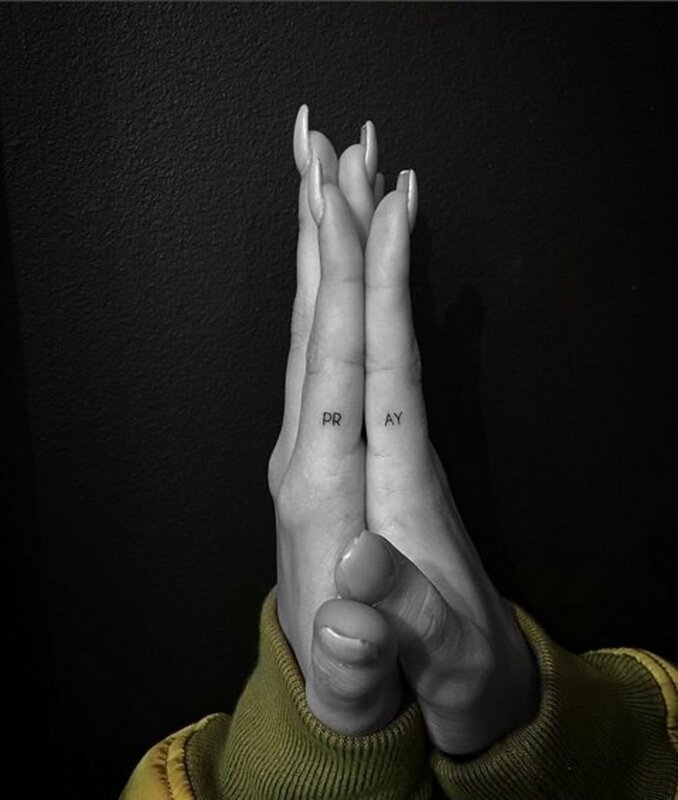 When dreaming up the look of Hailey Baldwin’s tattoo, Kendall didn’t just opt for a boring old tattoo of the word “pray,” she actually designed it with the letters “P” and “R” inked on the index finger of Hailey’s left hand, and the letters “A” and “Y” on the index finger of her right hand. This way, when Hailey brings her hands together in the universal sign of prayer, the tattoo reads “PRAY” across her fingers. 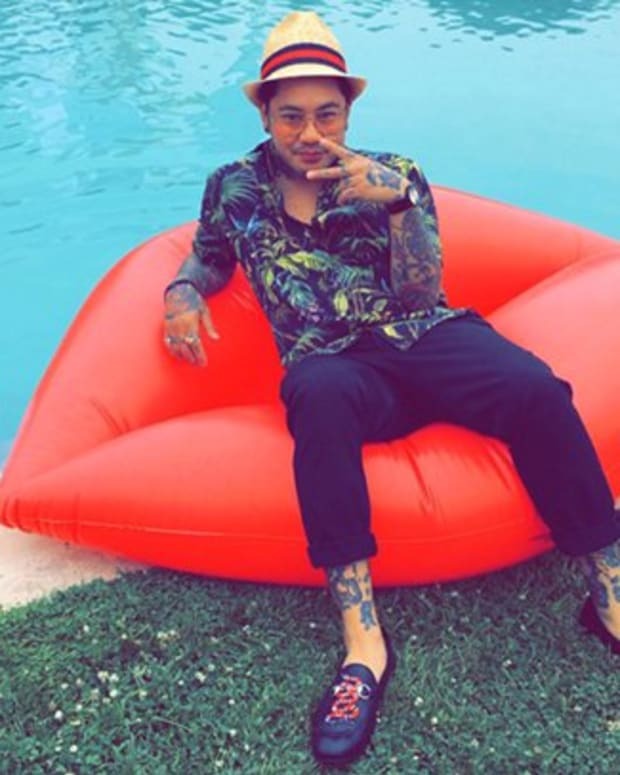 This new “PRAY” hand ink isn’t the first tiny tattoo Hailey has gotten, and it probably won’t be the last. Mini ink is kind of her thing, and, in addition to her new “PRAY” tattoo, the 19-year-old has at least seven other miniature pieces inked in various spots on her body, including a “gente” tattoo on her left hip, the letter “g” behind her ear, “baldwin” inked on her finger, a small gun on her finger, a heart outline on her ankle, the Roman numerals “VI.X.XC” on her wrist, and a red broken heart on her finger that is a matching tattoo with Kendall Jenner. 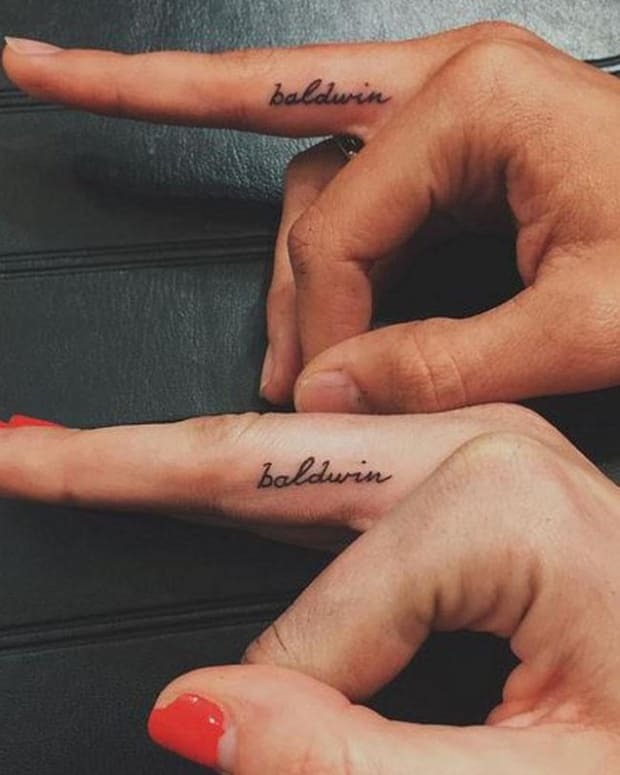 Kendall herself is also a big fan of miniature tattoos, and the 20-year-old already has two tiny pieces (and counting), a nearly invisible white dot inked on her middle finger, and the matching broken heart tattoo she has with Hailey Baldwin, also done in white ink. We can almost guarantee that Hailey and Kendall will find themselves back in a tattoo shop together at some point soon, and if they do, we’re sure their new ink will be 1. tiny, and 2. adorable. Can You See Hailey Baldwin's 19 Tattoos?